Unique projects need a different approach. That’s why the Ministry of Foreign Affairs asked us to design its new campaign. 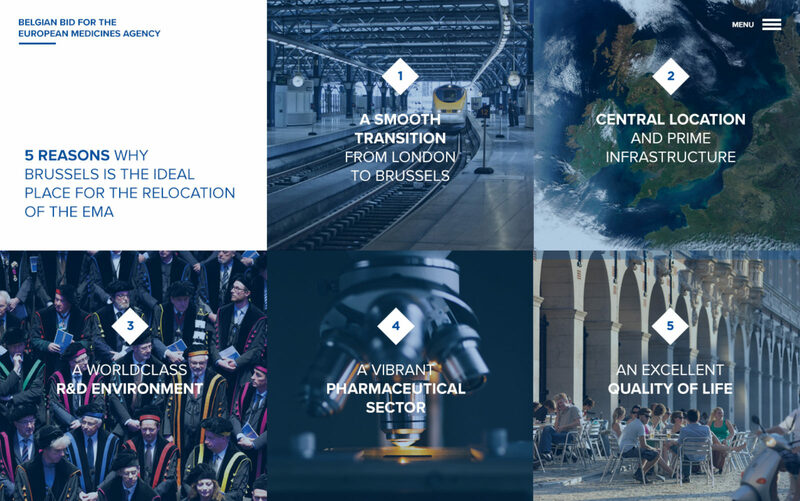 The ultimate goal: move the European Medicines Agency from London to Brussels, beating 18 other EU cities in the rally. The European Medicines Agency (EMA) is a EU agency which is responsible for the protection of public and animal health through the scientific evaluation and supervision of medicines. Its main role is to act as the regulatory agency, deciding if products are safe for the European market. It also enables timely access to new medicines and plays a vital role in supporting the development of new medication. 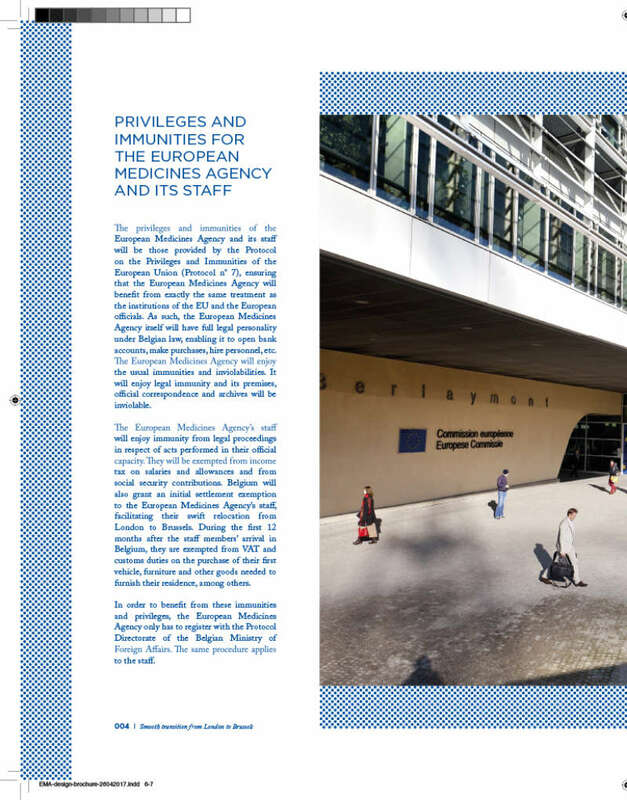 Following Brexit, the EMA is looking for a new home on the European mainland to accommodate its daily activities and its 900 highly skilled staff members. Brussels, one of the founding fathers of the European Union, and its capital, is one of the 19 candidate cities to host the EMA. 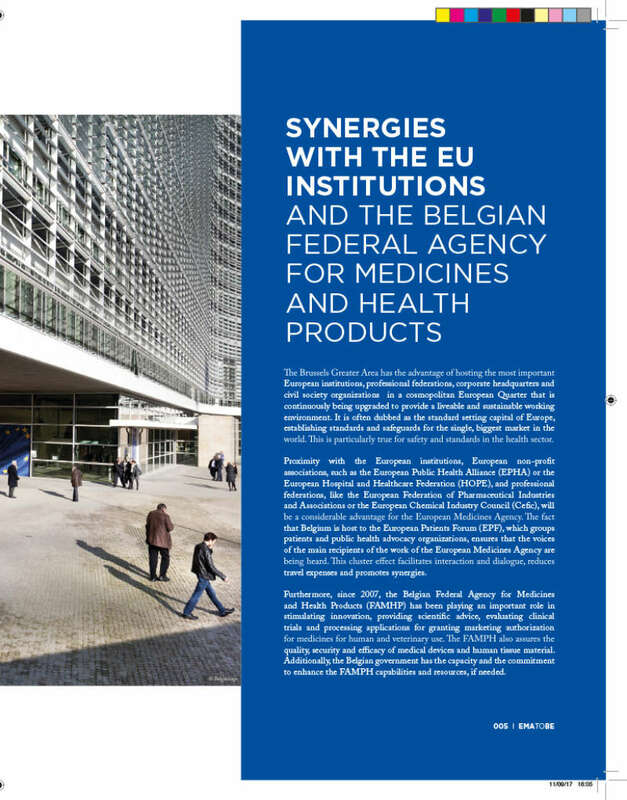 Hoping to seal the deal and bring the European Medicines Agency to Brussels, Belgium needed a knockout campaign urgently. 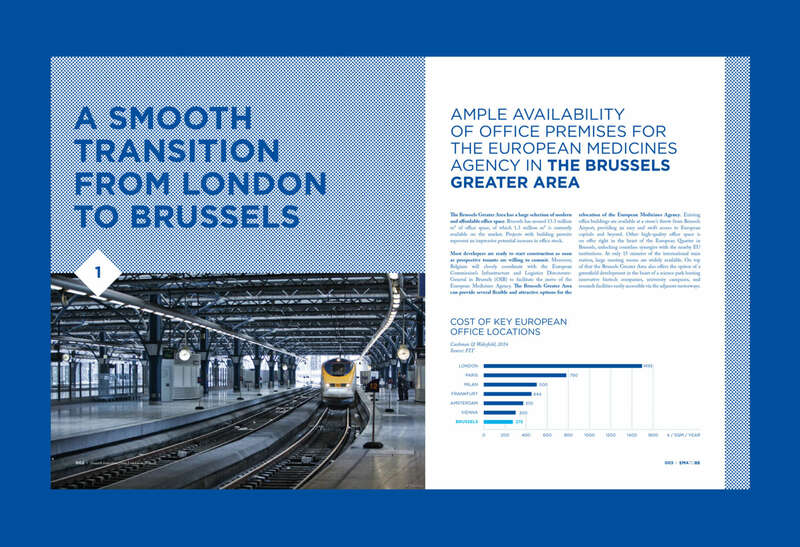 The master plan: move the EMA from London to Brussels in the shortest period of time, ensuring a fluent transition and maximum business continuity. 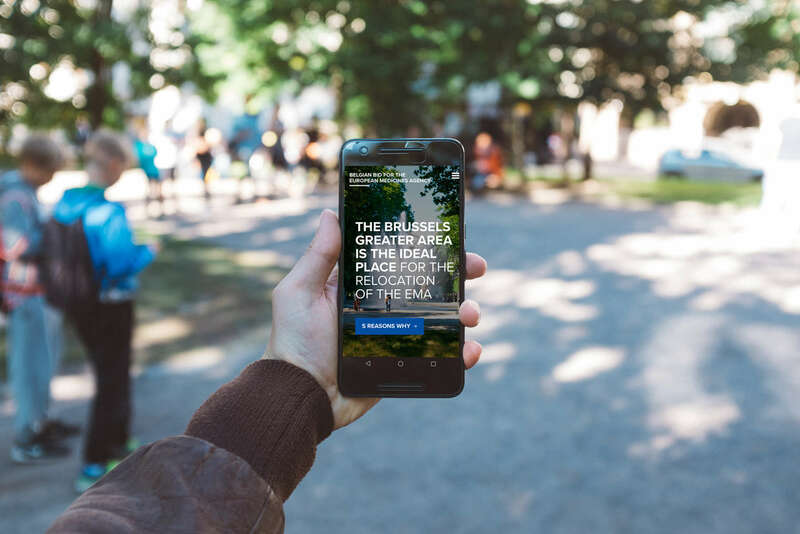 To improve Brussels’ visibility as a candidate, to strengthen the Belgian bid and to convince EU decision-makers, we were asked to create two types of high-end brochures and a compelling new website. In order to help this exciting mission succeed, we had to plan and organize like never before. We were faced with a strict deadline, as we had to keep track of other European candidate cities moving equally fast. We joined forces, bought a giant box of coffee pads and pulled this project off in record time, while upholding the same standards of quality we always do. Our hard work resulted in a very happy client. When push comes to shove, Belgians come together as one. 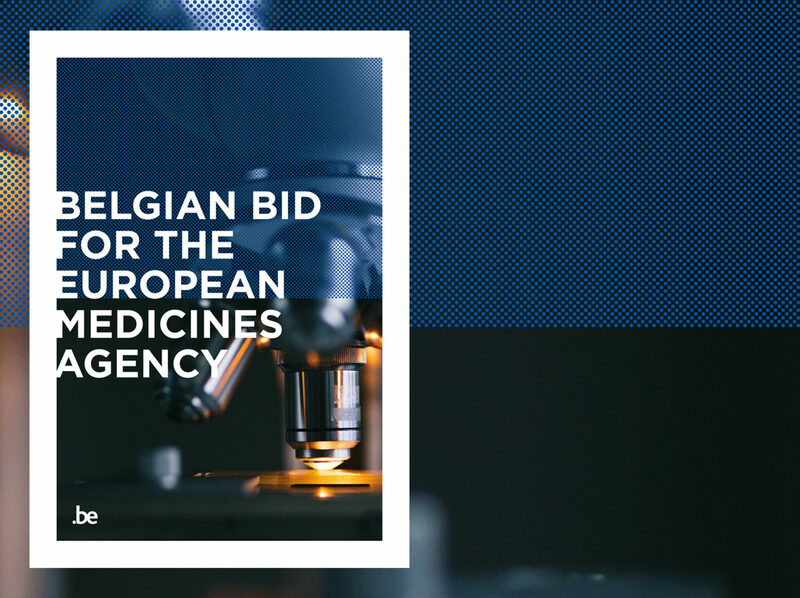 The Belgian bid for the relocation of the European Medicines Agency is a joint project lead by the Federal Public Service and supported by the regions of Flanders, Wallonia and Brussels. So, how did we end up at the table? 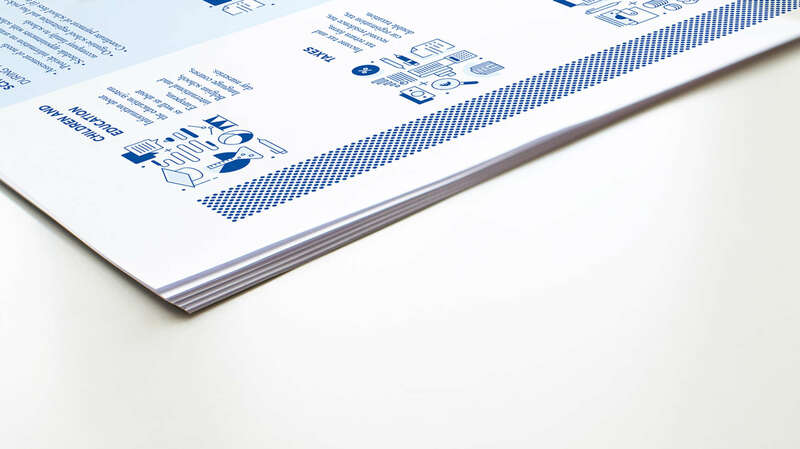 Through our previous work for the Belgian Ministry of Foreign Affairs, Foreign Trade and Development Cooperation. We were happy to pitch our ideas for this unique project and won the plea. 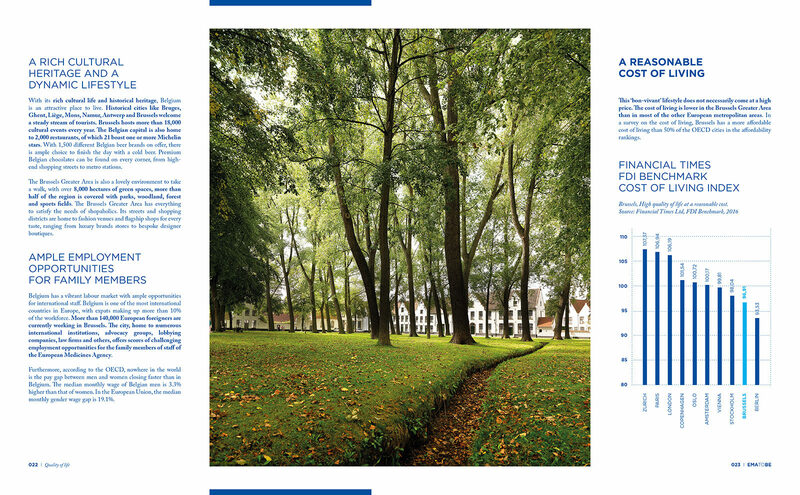 classy brochure which tells - and sells - the story of the Belgian bid. 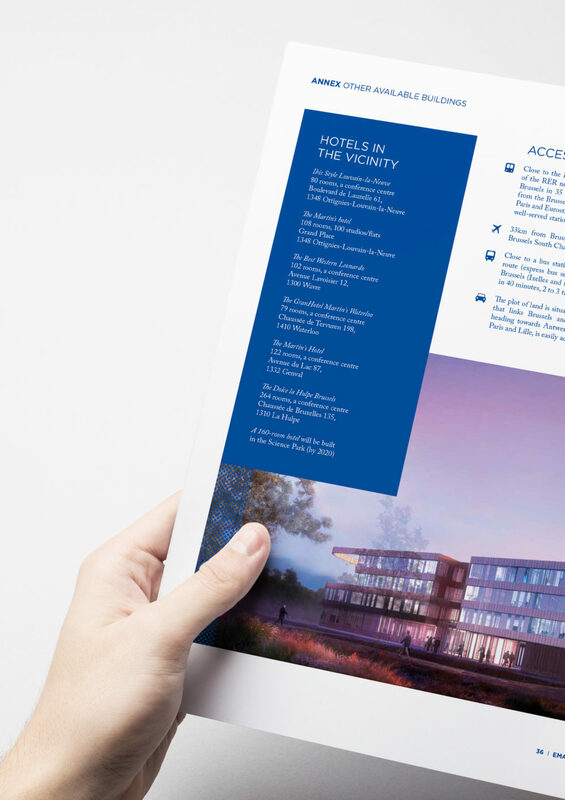 A high-end brochure and complementary technical brochure tell - and sell - the story of the Belgian bid, including custom-made infographics and photography, giving the reader a clear overview of all three possible locations in Brussels and their specific benefits. 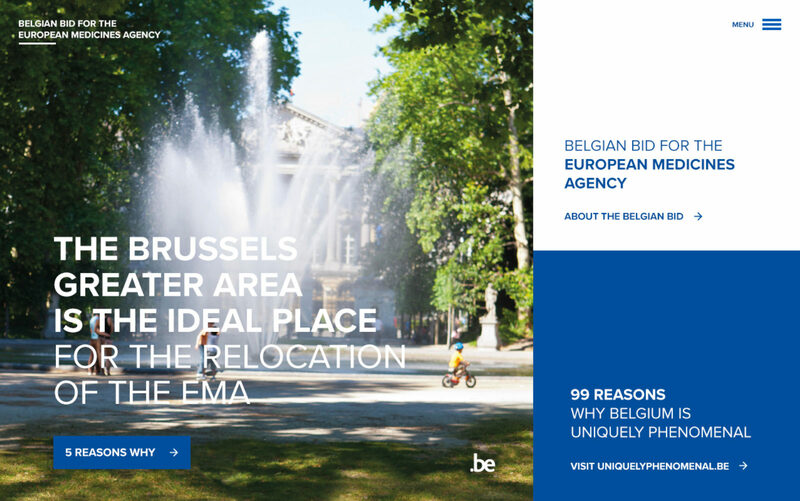 We equally designed a website aimed at EU professionals and decision-makers, which tells the story of the Belgian bid and lists five unique reasons why Brussels is the perfect breeding ground for the EMA to develop. For an additional solid first impression, we used dark blue as the base colour of the website, emitting trustworthiness and credibility. Which country gets to host the European Medicines Agency will be decided on in November after a vote amongst all European member states. Fingers crossed for Belgium!